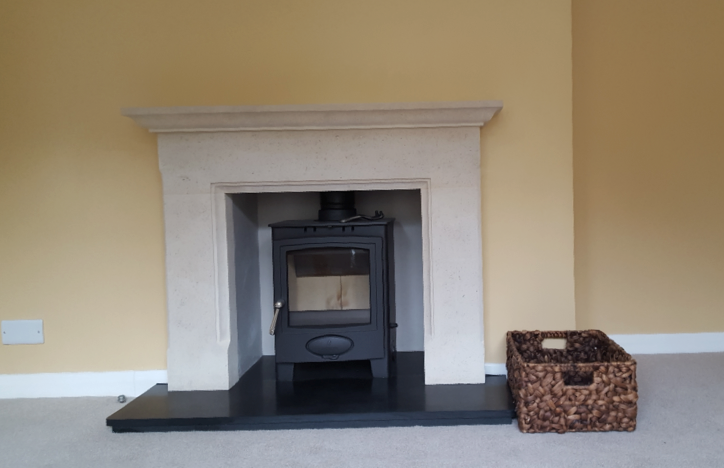 Supplied and fitted in the pleasant village of Pyrford, just outside of Woking, Surrey, a wonderful Wessex Stone ‘Ashton’ fireplace, made in a natural bath stone and complimented with an Aarrow Ecoburn 5kw Multi fuel stove. Wessex Stone have been hand crafting bath stone fireplaces for over 20 years, deep in the heart of rural Gloucestershire on the outskirts of the Cotswold market town, Tetbury. Wessex Stone Fireplaces are able to provide exactly what each client requires, not only modifying existing designs, but also have the capability to design and produce bespoke surrounds to a client’s individual specification. Wessex Stone are also able to provide a bespoke ‘one off’ crafting service, whether it be a feature for the garden or mimicking an existing feature of a building. For more information, visit the Wessex Stone Website. Raw steel is crafted with precision. Exacting joins are welded at 1500°C. Sparks fly as surfaces are perfected. Your stove emerges, bearing all the hallmarks of being designed, engineered and built in Britain by people who take pride in a job well done. With different styles and designs, Arada have a range of stoves to suit all homes. With the Stratford range of stoves, you’re able to warm water that in turn will heat radiators in other rooms around the home. 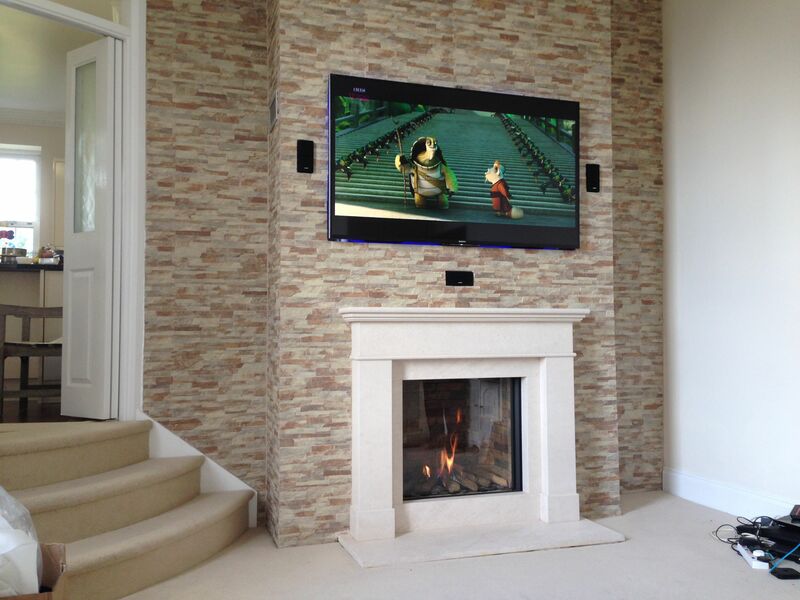 This Termatech TT20 worked very well in this traditionally furnished room. Sat on a glass hearth against a brick feature wall, it proves even the ‘simple’ installations work well to gain a focal point of a room. The below photo shows the powder coated, twin wall insulated flue coming out of the pitched roof. Although it’s yet to be decorated, this picture shows another stunning installation completed this week, creating the perfect feature of any room. Faber fires have a wide selection of different fires to suit every room and setting, most of which, a chimney is not needed. 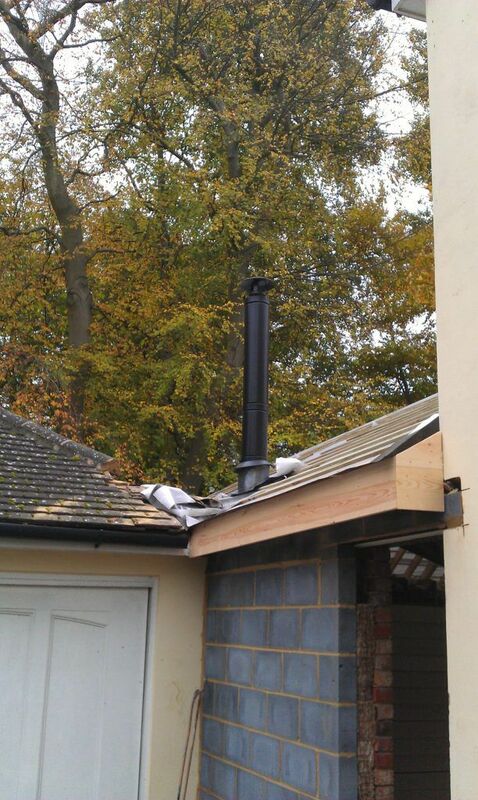 Wakeford Fireplaces have the ability to provide a totally bespoke and personal service, offering fully supplied and fitted packages using their own HETAS and Gas-Safe fitters. 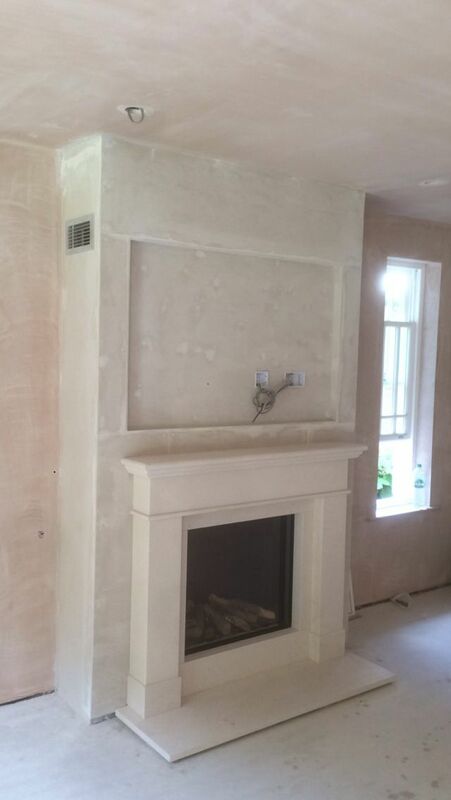 We were invited to view the completed room in which we supplied and fitted one of our own limestone designed fireplaces, along with a Faber ‘Clear’ gas fire. 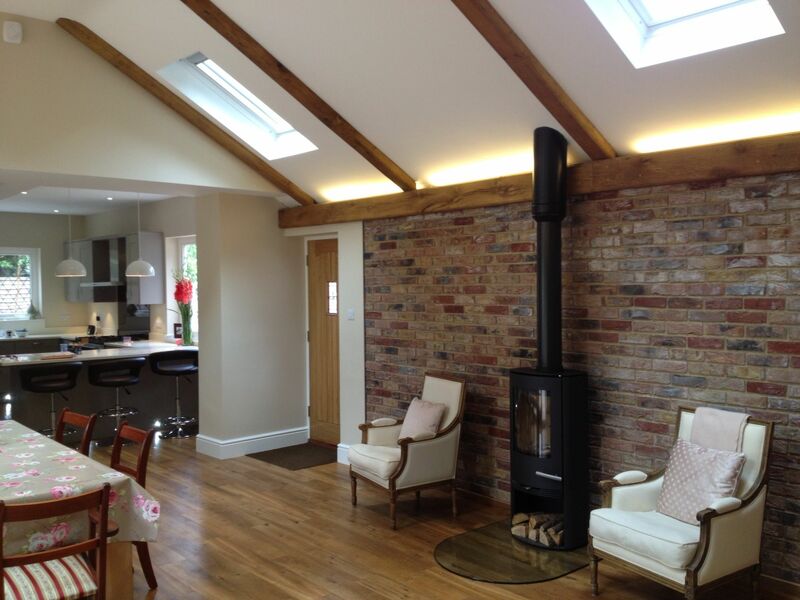 Forming a chimney breast feature in the room and fitting the fire and fireplace, the walls were then tiled creating a stunning focal point in the room, or as our client said, ‘focal point of the house’. We have the Faber Clear on working display in the showroom, it needs to be seen. Not only does it look good, it will also heat your whole room using timer and thermostatic technology. 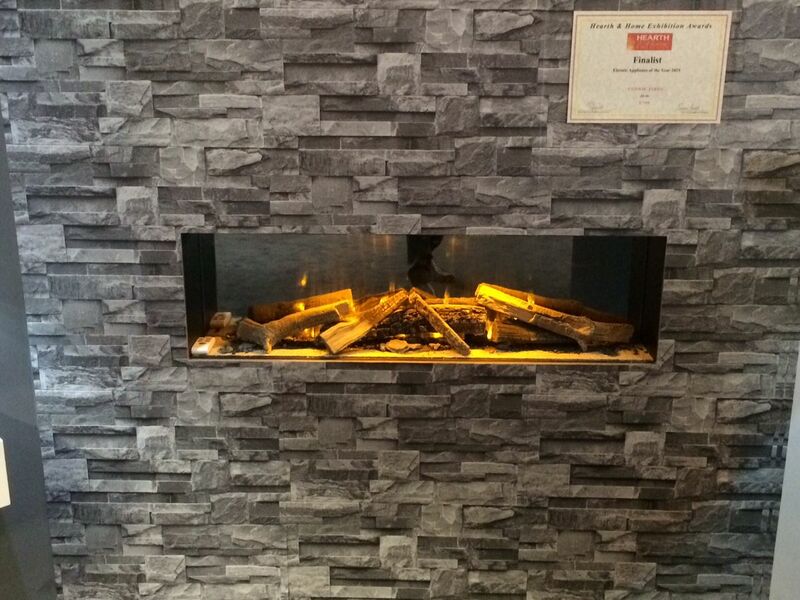 Attending the 2015 ‘Hearth and Home’ exhibition at Harrogate last week, we spotted this very impressive electric fire. Made by Evonicfires, they have the ability to develop this fire to any width. The fire was a finalist for ‘Electric fire of 2015’. Well done to all at Evonic fires.